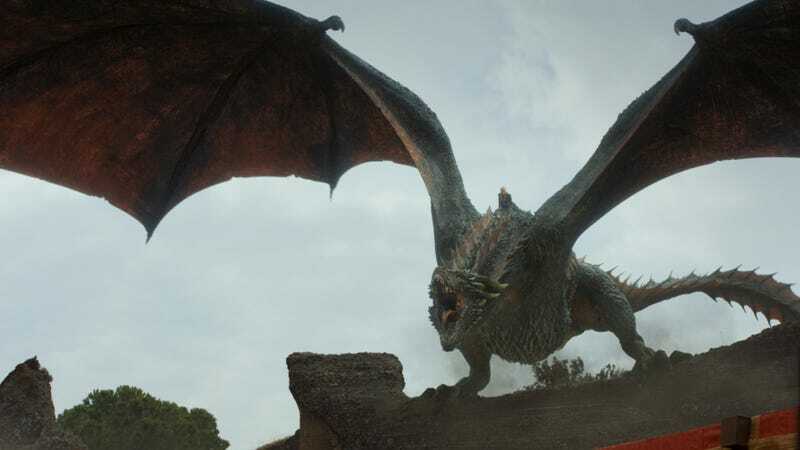 Nevertheless, HBO is prepared to do whatever it takes to keep the fantasy-nerd momentum going; as Senior VP of Drama Francesca Orsi told the audience at an Israeli TV conference earlier today, “it feels like corporate malfeasance to not continue [the show].” And given the ever-growing popularity of original-recipe Game Of Thrones, Orsi says it just wouldn’t be right to give a spin-off the paltry budget of one of the show’s earlier seasons. Like, say, the mere $50 million HBO spent on season three: “$50 million (per season) would never fly for what we are trying to do. We are going big,” she says. Orsi also says the network is planning to run with “three, four, five” of the planned spin-offs, which, when you take into account the fact that HBO is spending $15 million an episode on Game Of Thrones season eight, could potentially push the price of this endeavor up into the half-billion-dollar range. Better hope that Lonely Gourmet-inspired Hot Pie spin-off where he just slowly chows down on a different kind of pie each episode takes off, in other words. What’s a Game Of Thrones spin-off you’d actually watch?